Bone cancer. 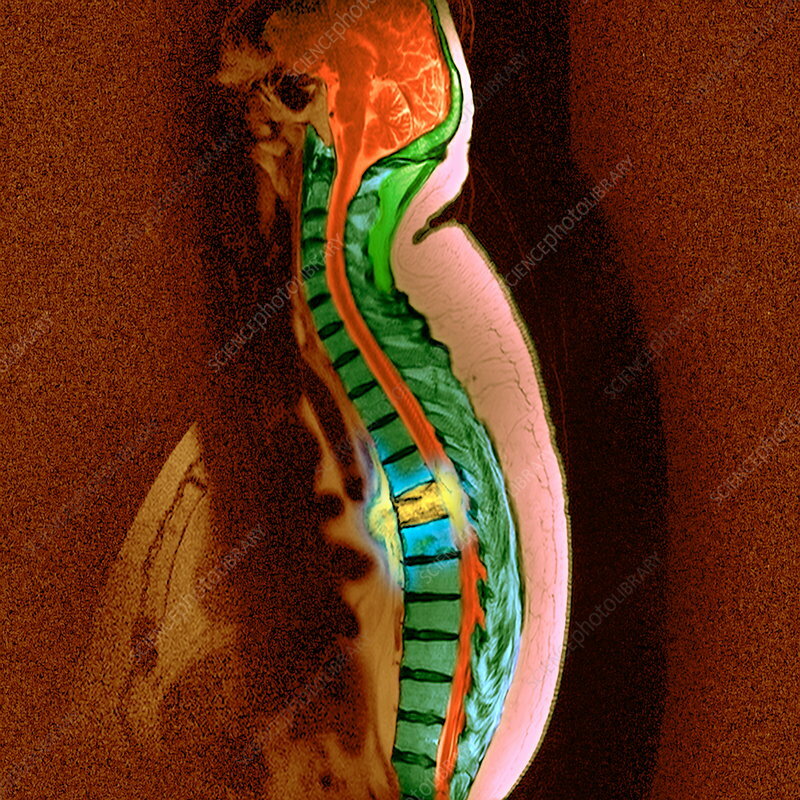 Coloured sagittal (side) magnetic resonance imaging (MRI) scan of the thoracic spine of a patient with secondary bone cancer (yellow and blue, centre). The front of the body is at left. The spinal cord (red) is to the right of the vertebrae (green blocks). The cancer has spread (metastasised) from a site of primary cancer. Spread of cancer to the spine is common, it causes severe pain and the bones have a tendency to fracture. The prognosis is very poor. Treatment includes radiotherapy, chemotherapy and hormone therapy.